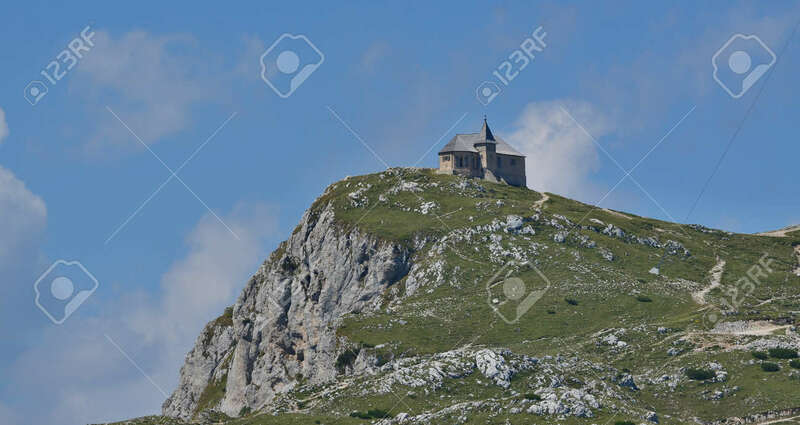 The Church Of Maria Am Stein, The Mountain Dobratsch (or Villacher Alpe, 2166 M Above Sea Level) In The Austrian State Of Carinthia. It Forms The Eastern Tip Of The Gailtal Alps And Is Located To The West Of Villach. Austria Royalty Free Fotografie A Reklamní Fotografie. Image 110394069.